Get More Gift for Your Money! This time of year, MA pawn shops are brimming with unique gift ideas. And the prices you’ll pay at MA pawn shops are a fraction of what you’d pay for the same item at retail. Here’s one gift idea from each of our Empire Loan locations. Then you’ll have to come in to see the rest! When you shop MA pawn shops, you’re sure to find something you couldn’t find anywhere else! But hurry, deals like this go fast! This beautiful gold sled pin designed by Newport goldsmith, Breakell, will conjure up old fashioned memories of the snowy days of childhood. A truly special gift for someone special. SALE PRICE $471.75 plus tax. Give Them Reason to Smile! Our Boston store is loaded with brand name cameras at every price level. Left to right: Canon EOS 5D w/battery grip. 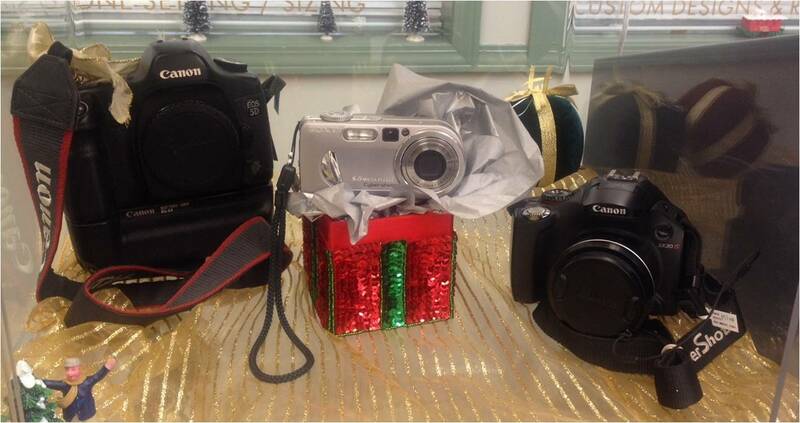 Canon SX30 IS w/bag, charger, 4GB memory card. Reg. $199 SALE PRICE $149 plus tax. The perfect gift for gamers of all ages. 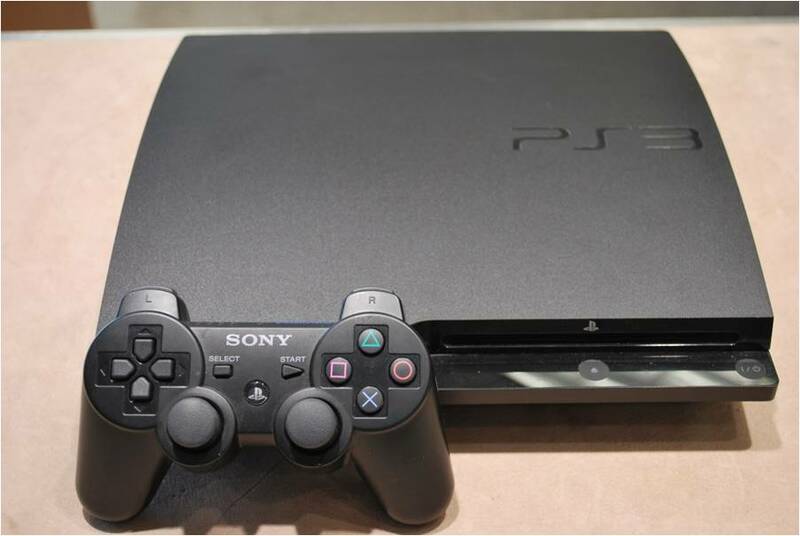 The Sony Playstation 3 320gb at a price that’ll leave cash in your pocket for some of their favorite games! SALE PRICE $131.25 plus tax. Make Points with a Pats Fan! 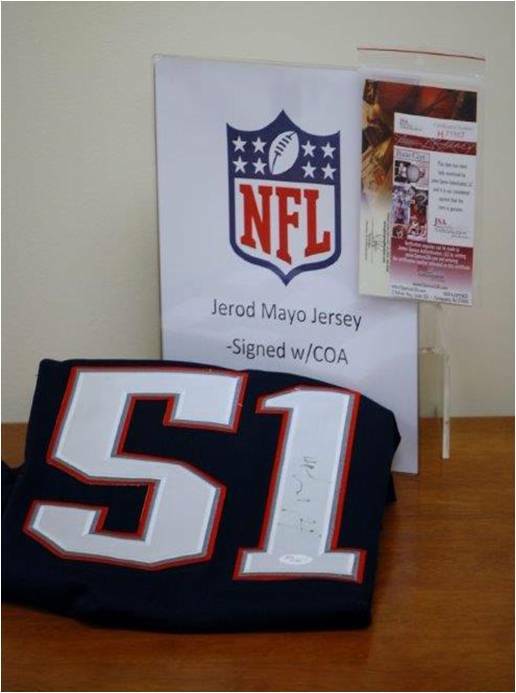 If someone on your list loves the New England Patriots, an autographed Jerod Mayo jersey with a Certificate of Authenticity is an unbeatable gift! For NH residents, great gifts like these and lower loan fees are right over the border. SALE PRICE $75 plus tax. The classic quality and elegance of Waterford Crystal makes a lovely gift. 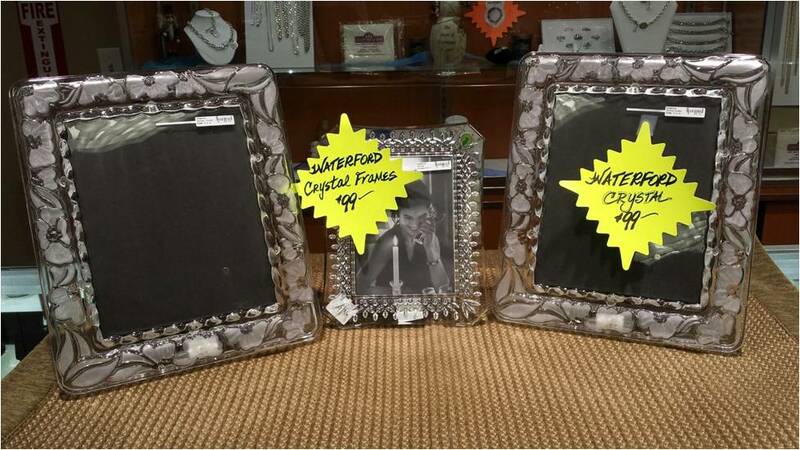 Choose from a selection of picture frames in a variety of styles and sizes. SALE PRICE $74 plus tax. It’s the perfect time to tell her how much she means to you. And nothing says it better than a beautiful 14KT Gold Pandora Necklace. 16” length. Don’t miss an opportunity to give a very expensive gift, at a stunningly low price. SALE PRICE $1365 plus tax. Gifts Compatible with Their Interests! 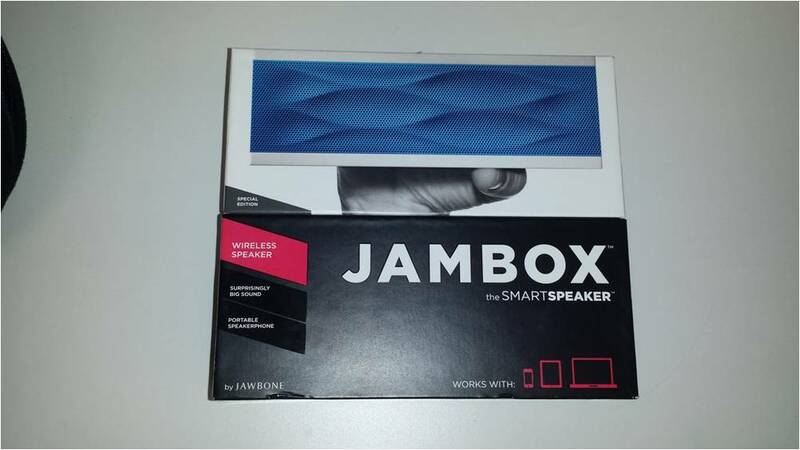 The Jawbone Jambox is compatible with most Bluetooth enabled devices including the iphone, ipad, itouch, android smartphones and tablets. Portable Bluetooth speaker. Stream music from your phone or mobile device. SALE PRICE $112.50 plus tax. Hurry! Gifts Like These Will Go Fast! Come in now and browse a huge selection of unique gifts at all of our locations. What you save at Empire Loan is a gift to yourself! You’ll Pay More at Pawn Shops in Nashua NH! Pawn customers in the state of New Hampshire can expect to pay almost twice as much for a pawn loan as customers at Empire Loan in Lowell! Rules and regulations on pawnbrokers and pawn loans are determined by local, state and federal governments throughout the country. The fees and interest rates charged are set by authorities and the pawn shops operating in those communities must adhere to those rules. As a result, pawn shops in Nashua NH and elsewhere throughout the state, charge 20% for a 30 day loan. Just a few miles down the road in Lowell Massachusetts, Empire Loan of Lowell only charges 3% per month and offers a four month loan. Based on a $300 loan, a New Hampshire pawn customer will pay $60 for interest, while a customer at Empire Loan in Lowell will only pay $9 in interest per month. Why pay almost 7 times as much interest in New Hampshire, when just over the border you’ll save $51 at Empire Loan of Lowell!? New Hampshire pawn shops offer loans that are only 30 days in length with a one month grace period. That means that at the end of the loan period, you will have another 30 days to redeem or renew your loan. You will be charged another month’s interest — yes, another 20% in interest! In contrast, Empire Loan in Lowell would only be charging 3% because our loans are for four month periods. Let’s do the math. A New Hampshire pawn shop loan for $300 will cost 40% in interest — a total of $120. 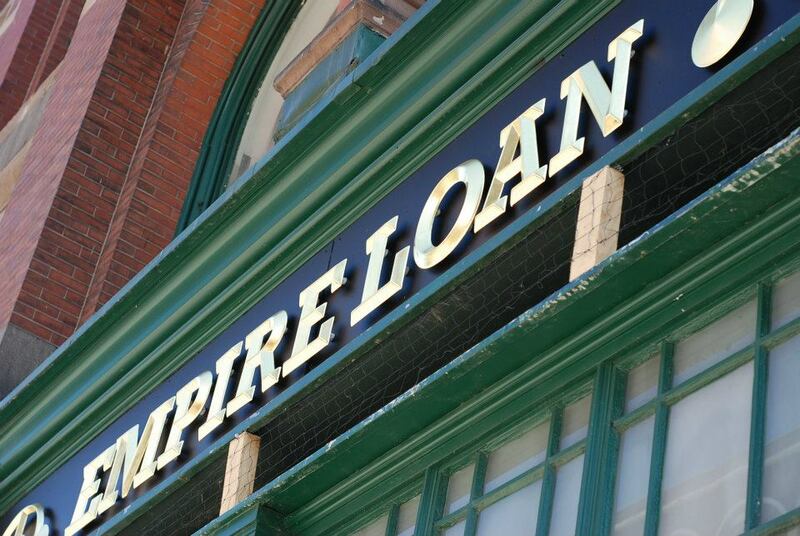 over The same loan at Empire Loan in Lowell would cost you a total of only 6% in interest – a mere $18 in comparison. If you like giving your hard earned money away, keep visiting pawn shops in Nashua NH! If, on the other hand, you need to borrow cash and want to pay less, visit Empire Loan in Lowell. It’s worth the trip! Is a pawn loan expensive? How much interest will I pay? The answer to those questions depends on where you go for the loan. Pawn shops in Massachusetts, for example, offer much lower rates than other surrounding states. Why the difference? Loan interest rates are set by local state or city governments and can vary greatly from state to state. You can pay as little as 2-3 percent, or as much as 20-25%! In addition, the length of time for the loan can vary from one month to 3, 4 or even 6 months. 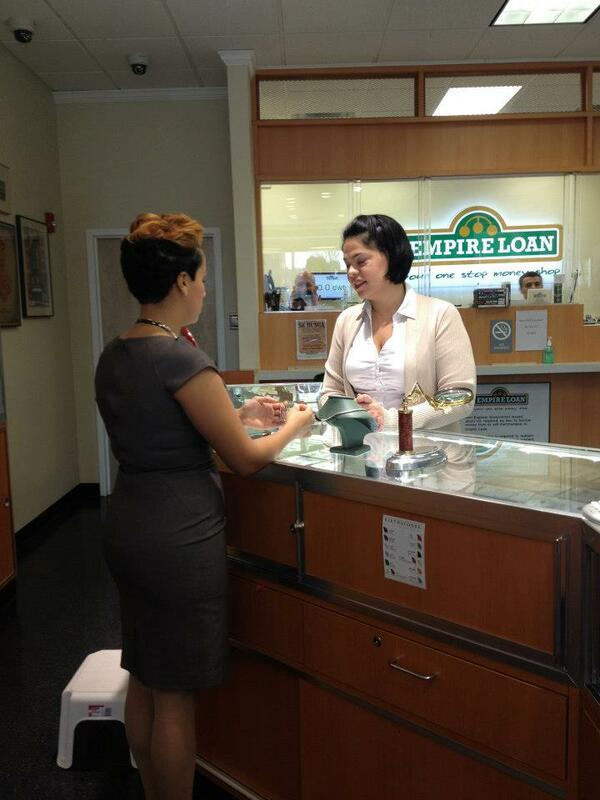 Empire Loan’s pawn loan rates will give you an idea of how it works. Empire Loan’s pawn shops in Massachusetts offer a monthly interest rate of 3%. In Rhode Island, the rate is slightly higher at 5% per month. If you go just over the border into New Hampshire, the rates jump up to as much as 20% per month for a one month loan. This means that a $100 pawn loan in New Hampshire will cost you $20 for 30 days. In Massachusetts, even with an appraisal fee, that same $100 loan would cost you just $11 — almost half as much. The second thing to consider is how long the terms of the loan are. In Rhode Island, loans are 1-3 months, while in Massachusetts the loan terms are 4 months. The terms of a loan refers to the length of time you can borrow before you have to make a first payment. You do NOT have to make a payment until the end of the loan period. Some pawn shops tell customers that they need to come in and pay their interest monthly. This is actually against the law in the states where Empire Loan operates. With a $100 loan at Empire Loan of Rhode Island, there’s no need to make a payment for 3 months (90 days). At that time, you will pay $118 to redeem the loan or just $18 to renew the loan for another 3 months. What about Massachusetts? For the same $100 loan in Massachusetts, you won’t have to make a payment for 4 months, at which point you will pay $120 to redeem the loan and reclaim the item, or just $20.00 to renew the loan for another 4 months. So how does it work in New Hampshire? That same $100 loan in New Hampshire will cost you $120 after just 30 days — at which point you may be in danger of having the item foreclosed. If you keep renewing the loan in New Hampshire, you may end up paying back double the amount you borrowed in the first place! If you need a fast cash pawn loan, Empire Loan’s pawn shops in Massachusetts and Rhode Island just may be worth the trip! 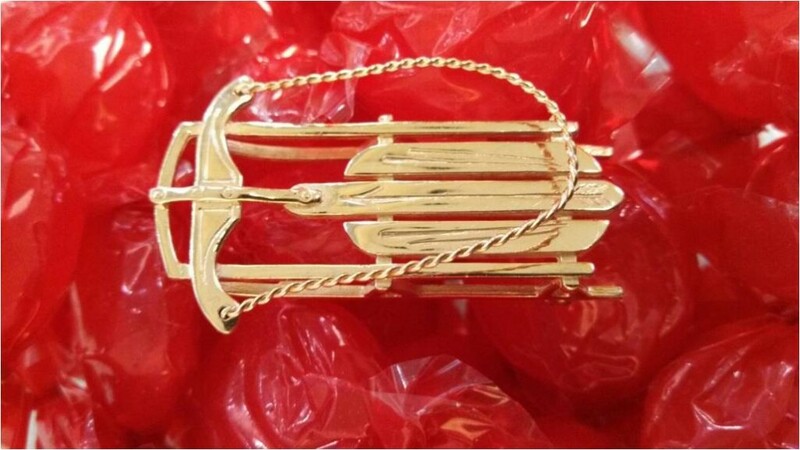 You CAN find bargains on Gold Jewelry! 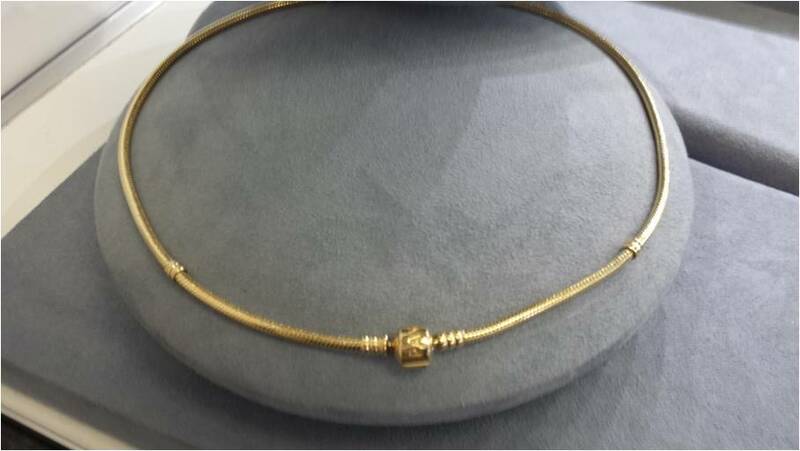 14KT Gold Pandora Necklace- 16″ Regularly $2,100, on sale now for $1,365! With the skyrocketing price of gold over the past few years, many people assumed they couldn’t afford gold jewelry. But that’s not necessarily the case — if you know where to shop. You may be pleasantly surprised to learn what your money can buy at MA pawn shops. A Jewelry Store May Not Be Your Best Bet. Jewelry stores have beautiful gold and diamond jewelry available for gift giving. But they come with a large markup. In fact, there are quite a few markups along the way. The gold refiner sells to the jewelry manufacturer. The jewelry manufacturer then has to mark up the price of their goods in order to make money over and above what they paid for the gold. The distributor or wholesaler then tacks on their margin. And finally, the retailer buys the item, marks it up for sale in order to make their profit. All this adds to your costs! 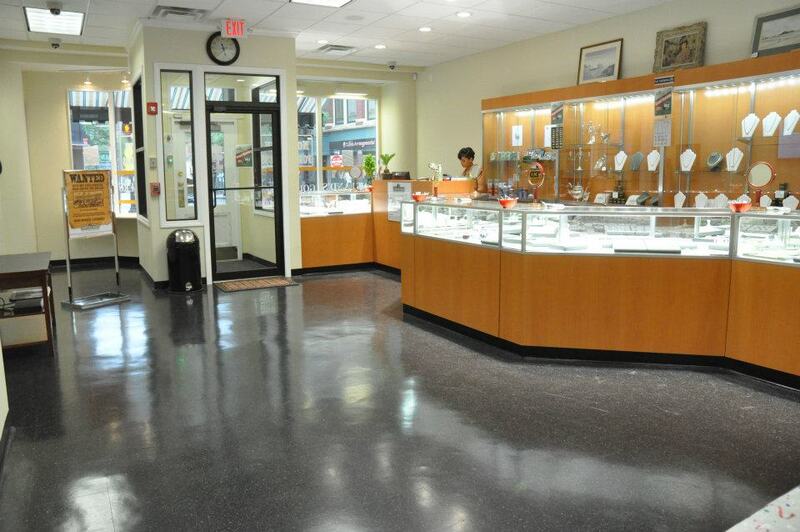 MA Pawn Shops Offer Lower Gold Prices. When you buy gold from a pawn shop, you don’t pay for all of those markups. Pawnbrokers buy all of their gold and diamond jewelry based on the scrap value of the item, and that’s well below wholesale value on any diamonds. This means that pawn shops get merchandise for considerably less than they would pay a manufacturer for the same items. The savings are substantial – and they’re passed directly on to the consumer. How much of a deal are you getting? It’s not unusual to find jewelry in your friendly neighborhood pawn shop for up to half the price the same gold jewelry might cost you at retail. What Kind of Treasures Will You Find? New merchandise comes in all the time at Empire Loan. That’s what makes it so exciting. You never know exactly what you’ll find. It may be unique, one-of-a-kind heirloom jewelry that no longer fits the owner’s lifestyle. It may simply be too big, too fancy just not their style, and they would prefer to have the cash. There are many reasons people decide they don’t want or need their jewelry any longer. But whatever the reason may be, it means bargains for you! Get Shopping! This season, beautiful gold and diamond jewelry may be as close as your friendly, neighborhood pawnshop. At prices you really can afford. Consumers need to borrow money at one time or another. Some choose a pawn loan. A bank loan. Or a credit card. Pawn shops in Lowell like Empire Loan can provide customers with the cash they need to pay the rent or an overdue bill; or extra cash to buy a car or home. Which is the best way to borrow the money you need? There are a wide range of factors that will help decide. For starters, let’s assume that if you’re trying to borrow enough to buy a home or car, you will likely need a bank, credit union or finance company. But what if you need $1,000 or less to cover your expenses? Let’s consider the plusses and minuses of Credit Cards vs. a Pawn Loan. A credit card is like a line of credit from a bank. You can pay your expenses with a plastic card and not have to pay it back until they send you an invoice, usually after a month. Credit cards are easy to use and are accepted just about everywhere. With credit cards you can also make online purchases from the comfort of your home. Credit card companies will also allow you to pay off your bill over time, even allowing you to pay a minimal amount, making it easier to pay down the balance as you go along. Not a bad scenario. Pawnshops in Lowell, or in any of Empire Loan’s 8 locations, would probably point out that the downside to credit cards is you need to qualify to get one. Credit card companies check your credit history through the big credit reporting agencies, verify employment, residency and other factors in determining if they will give you a credit card in the first place. In the event that they do give you a credit card and you don’t pay the bill on time, they will report that to the credit reporting agencies, affecting your credit rating and your ability to get credit from other banks. It may also affect your ability to get a job or apartment as employers and landlords may be hesitant to hire or rent to somebody with a bad credit history. One other problem with credit cards is the amount they charge in interest and fees on any balance you may have with them. Credit card companies make money on the interest they charge. If you pay only the minimum amount each month, you could end up paying many times what the original item is worth. A pawn loan is when you bring an item of value to a pawnbroker and the pawnbroker lends you money based on the value of the item. The pawnbroker holds the item for a predetermined period of time until you come back with the principal amount you borrowed, along with any interest and fees they may charge. The only requirements are that you have something of value, along with a valid government issued ID. The interest rates and fees pawnbrokers can legally charge are set by licensed by local authorities. There are no credit checks required and no long forms to fill out. Just walk in and get the cash you need. 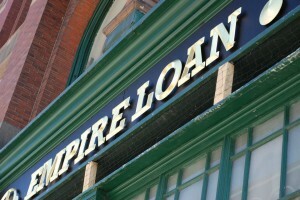 At most of Empire Loan’s Massachusetts locations the interest rate is 3% per month. The interest rate at our Rhode Island locations is set by local authorities at 5% per month. Walk in and get the cash you need within minutes. It’s that easy! Plus, Your Credit Rating is Never Affected! Another plus is the fact that pawn shops do not report to the credit reporting agencies. A pawn loan will, therefore, not affect your credit rating. If your payments are late, or you don’t pay at all, your items may be foreclosed on, but it will not affect your credit rating score. The downside to a pawn loan is that you are handing over your valuables to somebody you need to trust — which is why you need to make sure they are reputable. Membership in organizations like the Better Business Bureau, National Pawnbrokers Association and other organizations is helpful. You can also check review sites like Yelp, Google + and similar sites to hear what people have to say about them. Credit card? Or pawn loan? Which is right for you? Now you have the information to make an informed choice.